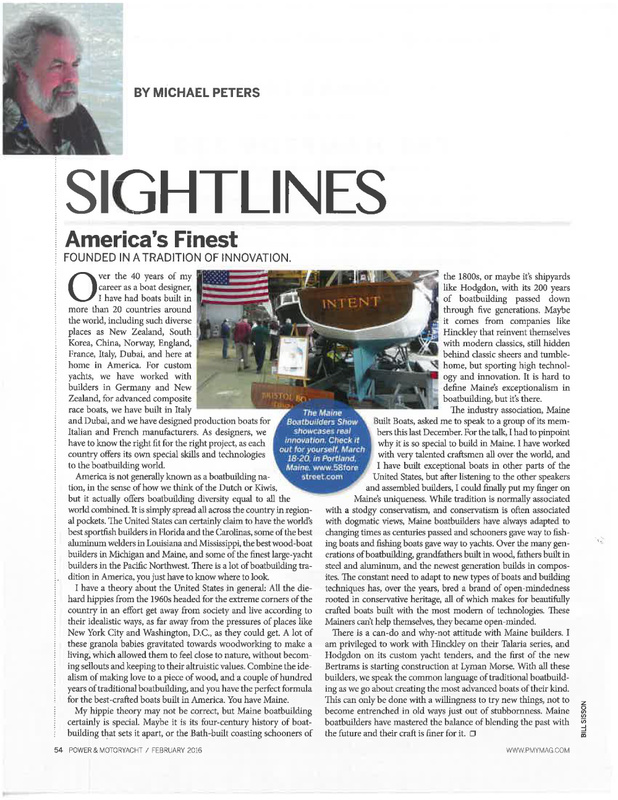 Yacht designer Michael Peters wrote an article about Maine Built Boats following his participation in the association’s annual conference in December 2015. This article appeared in the February issue of Power & Motoryacht magazine, published by Active Interest Media. Click on the article to view the PDF.